This item includes both Full Membership and a Herd Share. In order to access your own camel milk, you need to purchase a Full Membership and a Herd Share from the Camel Milk Association. If all you would like to order is our Gift Items and soaps, you may proceed with a limited membership and not be required to pay a full membership fee. If, however you plan to use camel milk, you will need to purchase this membership. You may also upgrade your limited membership by purchasing this lifetime full membership. The full membership is a non-refundable charge, and by purchasing this membership, you will become a full lifetime member of the Camel Milk Association. You only need to purchase this membership once. Please Note: It may take up to 24 hours after purchasing this membership before you may access your own camel milk. You will not be able to order these products until you receive confirmation as described below. Keep reading for more information. The item on this page also includes the Herd Share item, which is considered a tangible/transferable asset and is governed by the Herd Share Terms and Conditions, which are also listed below, following the Membership Terms and Conditions. Once you place your order for Full Membership and Herd Share, we will need to process and approve it. Once your order has been approved, you will receive two notifications. The first will state that your order has shipped. Since this is not a physical item, we will not physically ship any item to you as a result of ordering this item. Shortly after receiving this notification, you will receive another email stating that your membership upgrade was successful. Attention Canadians: Be aware that although you may become members of the site and order in the same manner as our United States members, there is one exception: Canadians must have all orders shipped to a United States address. You will then be responsible for transporting your order across the border to Canada. Due to the highly perishable nature of the products we offer, we are unable to ship to Canada because of longer shipping times and customs delays. Click the "Put Me on the Waiting List" Button above. Fill out and submit your information so that we can notify you when we are accepting new full members. Once you receive an email notification that Full Membership is available again, return to this page and place your order for full membership as described above. Please Note: Get your Full Membership promptly after receiving this notification, as availability may be limited. 5. More specifically, the mission of our Association is to provide members with the highest level of food quality and the most effective methods of producing said foods. We offer members these food options. Our Association understands that wellness has many dimensions and strives every day to stay on the leading edge of new technology that leads to better wholesome foods. The Association strives and provides the healthy food choices in the most effective means of delivery of these foods at an affordable fee. More specifically, the Association specializes in raw milk and demands access to foods and supplements of our choice. The Association offers to member's alternates to other type foods and provide other benefit to members. THIS AGREEMENT (hereinafter “Agreement”), made on this date of e-service confirmation (hereinafter “Effecive Date”) by and between CAMEL MILK ASSOCIATION, A Private Membership Associaiton (hereinafter “Seller or Agister”) and ______________________________ (hereinafter “Buyer”). 1. Seller is the owner of dairy facilities located at 8380 S. Tyndall Rd., Branch, MI 49402 (hereinafter “Farm”) where camels are held, cared for, handled and milked. 2. 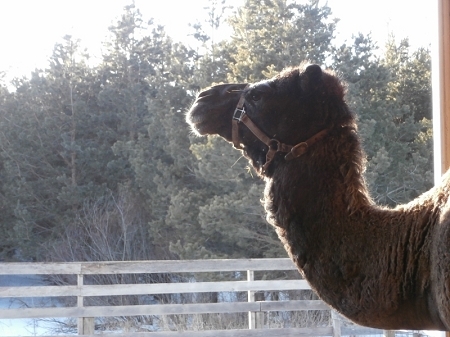 Buyer desires to purchase an interest in the Herd and to board the camel’s constituting Buyer’s interest in the Herd at the Farm. 3. Seller agrees to divide the ownership of the Herd into shares of an undivided interest to be sold for $60 per share, and to provide care and boarding of the Herd at a rate of $10.00 per pint of fluid milk produced by the herd including any other product seller provides to buyer of said herd share indicated. Buyer also agrees this boarding fee may change at the sole discretion of the Trustee of the Association. Buyer agrees to board camels constituting Buyer’s interest in the Herd with Seller, as an agister, and to have Seller pasture, care for, and milk said camels. 4. “Agister” shall mean the individual who pastures, controls, feeds, maintains, cares for and milks the Herd on behalf of the Herd owners or their agents. 5. “Agistment” shall mean pasturing, controlling, feeding, maintaining, caring for and preparing the production from the Herd on behalf of the Herds owners or their agents. 6. “Herd Share Agreements” shall mean collectively this Agreement and all other substantially similar agreements executed on behalf of the remaining undivided interests in the Herd. 7. “Owner” shall mean the individual identified as the Buyer in this Agreement. 8. “Herd Owners” shall mean collectively all owners of undivided interest in the Herd. 9. “Percentage Interest” shall mean the undivided percentage interest of Buyer in the Herd determined by dividing the number of shares authorized in the Recitals above. 10. “E-service Confirmation” means the date on which Buyer, after creating an online account as a full member according to the terms of Agister’s website, electronically executes, signs or confirms assent to this Agreement. 11. By the signature affixed below, Buyer sells, grants and conveys to Buyer, his/her personal representatives, successors and assigns, an undivided interest of ____ share(s) in the Herd. 12. In consideration, Buyer shall pay Seller $60 at the time the shares are transferred. 13. For boarding his/her undivided interest in the Herd, Owner shall pay to Agister a boarding fee to compensate Agister for care, equipment deprecation, maintenance and feed at a rate of $10.00 per pint of fluid milk produced by the Herd. 14. Owner shall be entitled to receive the production of milk from the Herd according to the percentage of production equal to Owner’s percentage interest in the Herd. 18. To pay all expenses for maintaining and caring for the Herd as required above, except as provided in Paragraph 19 below. 19. To provide reports to Owner as shall be appropriate to apprise Owner of the condition of the Herd and any other information that will be useful to Owner regarding the health and performance of the Herd. 20. Should Agister determine that special services are reasonably necessary, or should Owner request Agister to perform any special service beyond boarding required under this Agreement, Agister and Owner shall agree as to the amount of charges, if any, in addition to the monthly boarding fee. 21. Agister and Owner acknowledge that state law prohibits the unlicensed sale of raw milk. Under no circumstances shall either Agister or Owner transfer the ownership or possession of any raw milk production in violation of state law. Agister and Owner agree to hold the other harmless for any liability, loss, damage, expense or penalty incurred by the other. 22. Owner shall timely pay to boarding and other charges contemplated by this agreement. Seller / Agister shall have, and Owner hereby grants to Seller / Agister a lien and security interest in Owner’s undivided interest in the Herd for all unpaid charges. 23. In the event Owner defaults on any valid charge, Seller / Agister may dispose of Owner’s interest in the Herd at any public or private sale, with or without public notice, 10 days after giving Owner written notice. Seller / Agister shall apply the proceeds of any such sell to Owner’s unpaid balance and shall remit any surplus to Owner. In the alternative, Seller / Agister may acquire Owner’s interest in the Herd as satisfaction of the debt. 24. Owner specifically represents and warrants to Agister that Owner acquired his/her interest herein for Owner’s own use and benefit. 25. Each Herd Share Agreement affecting the Herd depends upon the interest of the Herd Owners. Therefore, the parties acknowledge and agree that any and all transfers or assignment of Owner’s interest remain subject to the terms and conditions of this Agreement. Any transferee or assignee of Owner’s interest may negotiate new terms with Seller / Agister upon acquiring said interest. 26. Agister shall be liable to Owner for any loss or damage resulting from the boarding of the Herd. 27. Agister shall not be liable to Owner for any sickness, death, loss or damage from the handling or consumption of raw milk produced by the Herd. 28. Agister shall not be liable to Owner for any sickness, death, loss or damage suffered while on Agister’s premises. 29. All disputes, claims and questions regarding the rights and obligations of the parties under the terms of this Agreement other than a claim of nonpayment contemplated by Paragraph 19 are subject to arbitration. Either party may serve on the other a written demand for arbitration within a reasonable time after discovering the conflict. 30. Arbitration shall be conducted by three arbitrators, one appointed by Seller / Agister, one by Owner, and a third by the two appointed arbitrators in accordance with the rules of commercial arbitration of the American Arbitration Association. Each party shall pay its own costs in connection with arbitration and the cost of the arbitrators in equal amounts. 31. The sale of camels by the terms of this Agreement is effective upon execution. 32. The terms of this Agreement pertaining to agistment shall become effective upon Agister’s written certification that a majority of authorized shares are subject to executed Herd Share Agreements. Notwithstanding any delay in the effective date for all other aspects of this Agreement, the Owner’s obligations specified in Paragraph 12 become effective upon execution. 33. Agister may only terminate this Agreement after 90 days written notice to Owner and all other Herd Owners providing notice of the termination of all Herd Share Agreements affecting the Herd. 34. Upon termination of this Agreement, Agister shall retain the first right or refusal to purchase all shares of the Herd Owners within 20 days of the date of termination. 35. Since the sale of Owner’s interest in the Herd are subject to the terms of this Agreement, Owner may not terminate this Agreement, but may transfer or assign his/her interest as any owner of an undivided interest in property. 36. Notwithstanding anything to the contrary in this Agreement, neither Agister nor Owner shall be responsible for any delay or failure of its performance under this Agreement caused by anything beyond the control of either party, including but not limited to government regulation, public emergency, labor disputes and actions related to riot, war, insurrection, windstorms, rainstorms, snowstorms, floods or other acts of God. 37. Construction. When necessary for proper construction, the masculine of any word in this Agreement shall include the feminine, neuter gender, singular, plural and vice versa. 38. Governing Law. This Agreement, being executed and delivered in the State of Michigan, shall be governed in accordance with the laws of the State of Michigan. 39. Notice. Any notice required by this Agreement shall be in writing and served by registered mail, return receipt requested, to the recipient’s last known address. 40. Entire Agreement. This Agreement constitutes the entire agreement between the parties and may not be modified or amended except in writing by both parties. 41. Waiver. No assent or waiver, expressed or implied, to any breach of any one or more of the covenants or agreements hereof shall be deemed or taken to be a waiver of any succeeding breach. 42. Incorporation by Reference. All schedules, exhibits and attachments referred to in this Agreement are incorporated by reference and made part of this Agreement. 43. Assignment. This Agreement and each of its provisions shall inure to the benefit of and be binding upon the parties, their successors and assigns.